The Red Apron: My First Crop and the Chipmunk beat me to it! 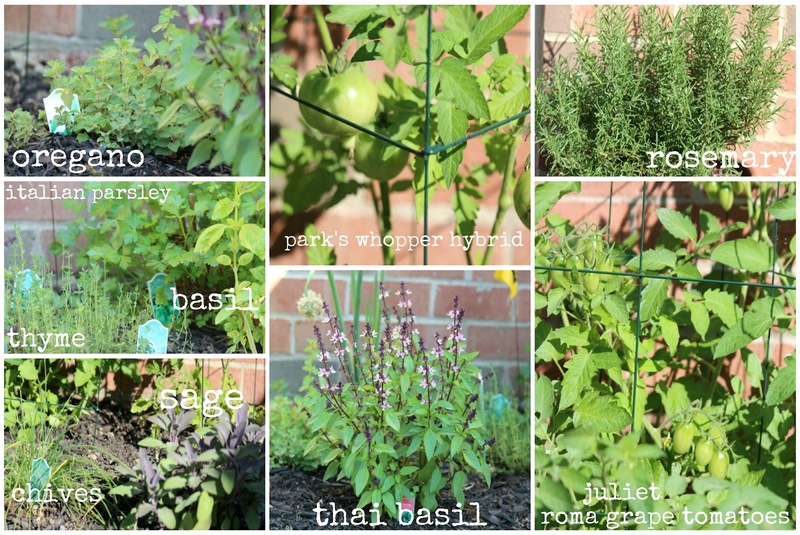 A couple of months ago I planted my tomatoes and herbs. I love planting my own, you never know what kind of pesticides they spray on the ones you get from the market. And if you get the organic ones, they're always expensive. I just use the space I have outside of my bedroom window. I always get a good whiff of that fragrant rosemary and Thai basil. I love thai basil, for soups and fresh spring rolls. Last month, I added green beans and jalapenos. I was so excited when my tomatoes bear fruits, and the pepper produced 3 jalapenos . Today, as I water my plants I noticed that the leaves on 2 of my green beans stalk have all disappeared. I looked at my jalapenos next to it, and one had been munch on. I know who has been in my garden. who burrows himself at night in my urns and flower pots. Everyday, I see a hole in a different pot, that he has burrowed himself in. He likes to try every flower pot. Hmmm ... I guess he's trying to find the most comfortable pot . Sometimes he likes to climb on our screen door, just to show off and most probably taunt me. So the kids decided to put their own version of a scarecrow. "Curios George the monkey" is now guarding our green beans. Let's see if he doesn't get eaten. And I'm quite sure he is NOT coming back for more of that spicy jalapeno. Nice garden. By the way, I've got one of those chipmunks too! Thank you Ellen! 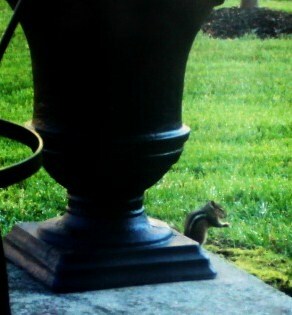 Does your chipmunk eat your plants too? Same here. I'm still waiting for the deers to come. Of everyone here where I live, our home is the only magnet to the animals. Thank you Gabriela! I haven't seen any owls around our area though, but we have hawks.